"Back to that proverbial fork in the road. One sign says 'liberty.' The other sign says 'political correctness.' Every individual American and every American institution will have to choose one or the other. 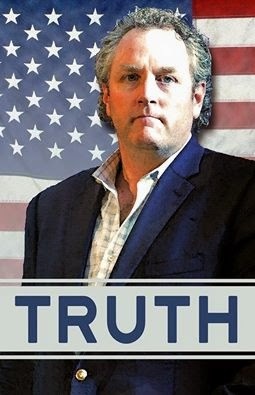 We can no longer have both, and the truth is we really never could. It was always going to end this way, we just didn't want to believe it." The "Duck Dynasty" situation has gotten as hot and spicy as a bowl of creole jambalaya, with the down-home Louisiana family threatening to walk away from its popular cable show and host channel A&E network stuck between a rock and a hard gumbo. The temperature rose Friday, when a insider to the show -- which generates nearly half a billion dollars in advertising and merchandise -- said the family is "serious" in its threat to walk away if A&E goes through with a suspension for patriarch Phil Robertson. That threat sets up only two ways the spectacle can end. "If the network backs down and they bring Phil back, they look weak. If they stand their ground, the family probably won’t move forward, and A&E loses their highest-rated show," the insider told E! 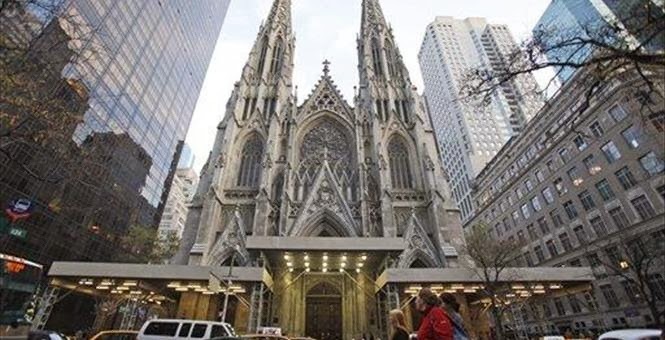 ...Meanwhile, there has been steady -- even fierce -- pushback from the Christian community, which sees in the brouhaha an attempt to force them to alter their views. 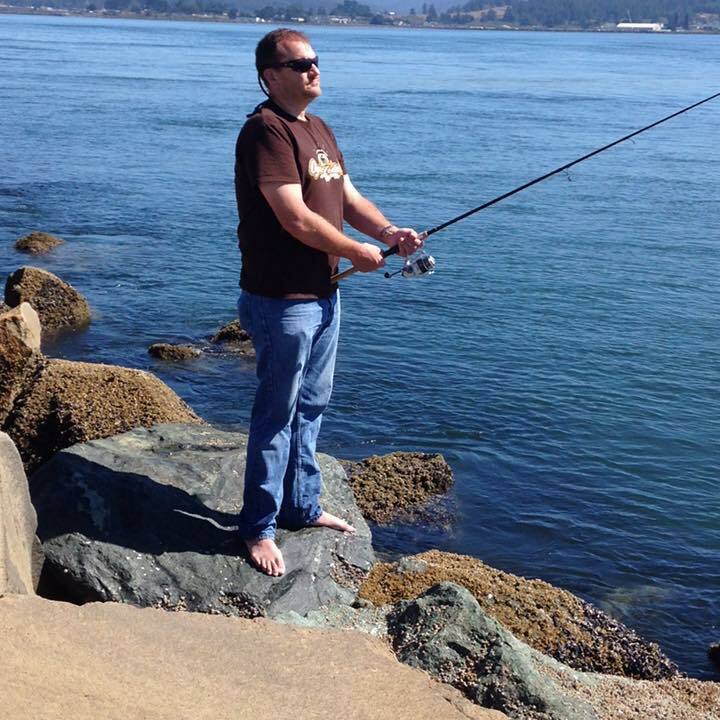 ◼ Radio talk show host Steve Deace laid out the situation in a USA Today column on Saturday. "A nation founded by pilgrims who came here to worship the God of the Bible freely without interference and persecution from ruling elites and those opposed to Christianity's influence on the culture, has now come to the proverbial fork in the road. After years of attempting to balance traditional Americana with political correctness, those pushing the new 'my way or the highway' definition of 'tolerance' have decided accommodating our differences of opinion is defeat," he wrote. Mr. Johnsen, who is 47, said he would like to buy insurance for his family. They have gone without it for the last two years, paying out of pocket on rare visits to the doctor. But he said it is hard to justify those prices to prevent an unforeseen catastrophe when so many real-world expenses demand his attention first. ◼ Newsbytes: For Global Warming Campaigners, 2013 Was The Year From Hell - Watts Up With That? ◼ ‘Twas the nightmare before Christmas - Watts Up With That? Hoping a White House reporter will ask @BarackObama if there are any parts of Obamacare that the president cannot suspend. 19 mins late - uncommonly early for Obama RT @lynnsweet: Obama press conference to start in 2 minutes. In the Brady briefing room. So, this is an embarrassment, yes? 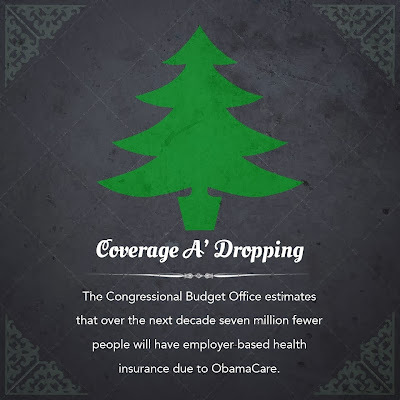 The law intended to insure the uninsured is instead uninsuring the insured. None of these fixes are designed to be fixes. They're designed to appear to be fixes, so when people are uninsured, Obama can say, "I tried. I gave them options." Just never the option of what he promised: Of keeping health insurance they liked. (L)ast night, the White House made its most consequential announcement yet. 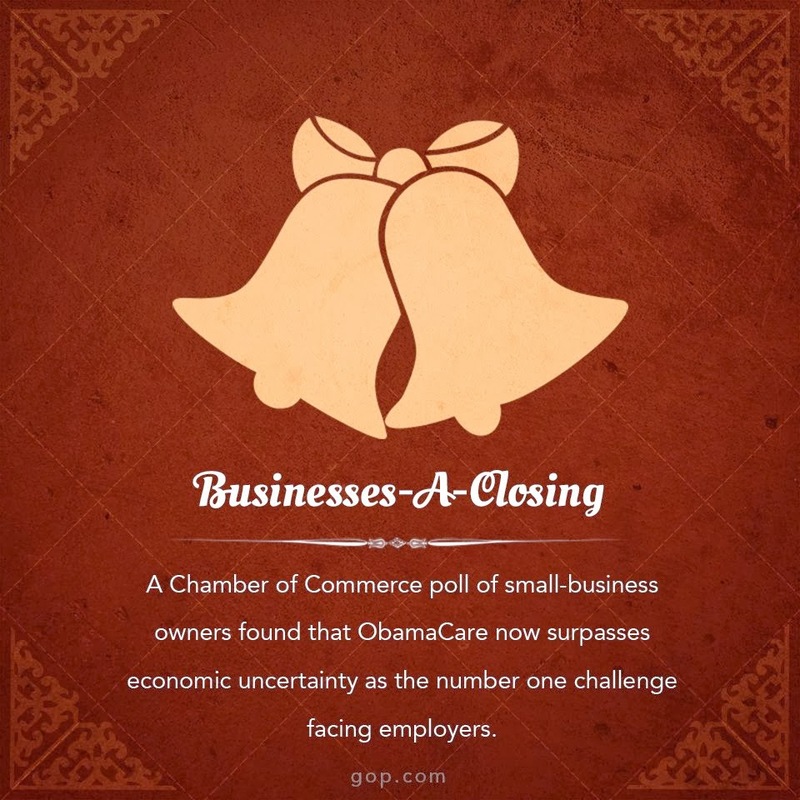 The administration will grant a “hardship exemption” from the law’s individual mandate, requiring the purchase of health insurance, to anyone who has had their prior coverage canceled and who “believes” that Obamacare’s offerings “are unaffordable.” These exemptions will substantially alter the architecture of the law’s insurance marketplaces. Insurers are at their wits’ end, trying to make sense of what to do next. Yesterday the Obama administration suddenly moved to allow hundreds of thousands of people who’ve lost their insurance due to Obamacare to sign up for bare-bone “catastrophic” plans. It’s at least the 14th unilateral change to Obamacare that’s been made without consulting Congress. Well, isn't this interesting. 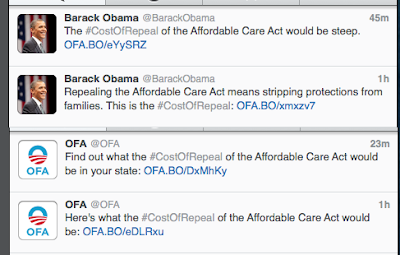 ...both the official Barack Obama and Organizing for America Twitter accounts have shifted their messaging from touting the benefits and success stories of Obamacare (few as they may be), to scare-whoring the costs of repealing the law. I'm not sure if they're seeing disastrous internal polling or if this is a shot at the increasingly-weak knees of several red state Democrat Senators up for reelection next year, but either way, this is not exactly a position of strength. Repealing our signature law that is creating nationwide disruptions and confusion will likely cause more disruptions and confusion! Sure, run with that. Also, the website will be faster. Huzzah. If you're explaining, you're losing, as they say. In summary, instead of enforcing the laws of the United States, the Government took direct steps to help the individuals who violated it. A private citizen would, and should, be prosecuted for this conduct. This is the fourth case with the same factual situation this Court has had in as many weeks. In all of the cases, human traffickers who smuggled minor children were apprehended short of delivering the children to their ultimate destination. In all cases, a parent, if not both parents, of the children was in this country illegally. That parent initiated the conspiracy to smuggle the minors into the country illegally. He or she also funded the conspiracy. In each case, the DHS completed the criminal conspiracy, instead of enforcing the laws of the United States, by delivering the minors to the custody of the parent illegally living in the United States…. [T]here is no explanation. The DHS has simply chosen not to enforce the United States’ border security laws. Poor guy. Barack Obama gets to jet around on Air Force One, golfs every once in a while (/sarc), and has all the trappings and perks of the highest office in the land. 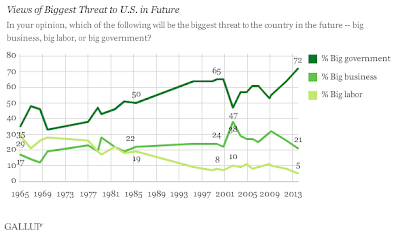 Probably the safest predictions on the planet are that the effort to portray Obama's poll implosion and ongoing unpopularity as not his fault will move forward in 2014, and that it will involve nonstop attempts to portray anyone and everyone who disapproves of his dishonest, sloppy, privacy-invading, opponent-harassing, state-enhancing nonchalant performance as racist. "Oh, my God! Oh, my God! Obama! Oh, Obama is suffering more than anybody from this." This is perverted, and it is sick, and it is their way of dealing with this. 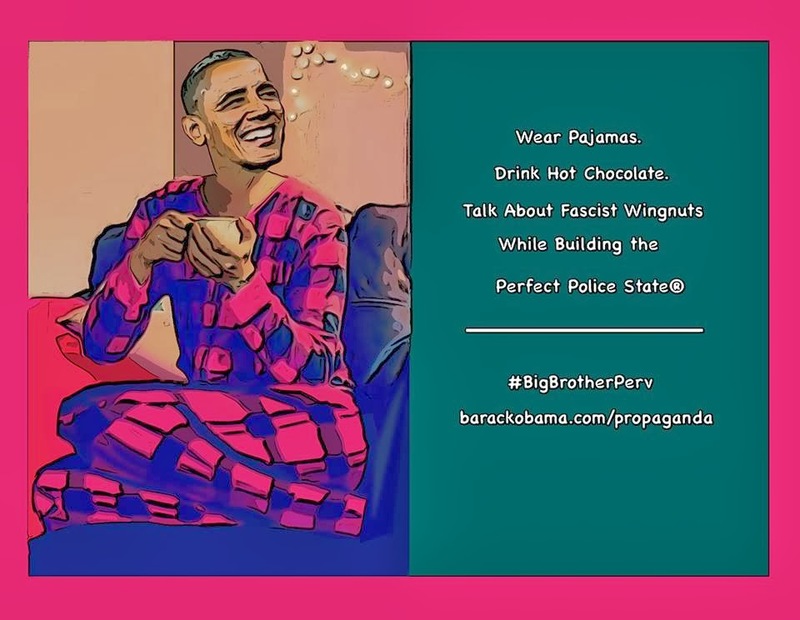 I went and researched my website, and it's all the way back on October the 16th where I first made reference to this fact that the Democrats, the left, the media were going to start portraying Obama as a victim. ...Again, we have the president as sufferer, and even though here (finally!) the wounds are “self-inflicted.” But it is the administration rather than the president himself that is doing the damage.... All in all, a masterpiece of subtly crafted writing designed to effect a certain perception: that of a beleaguered president who is the suffering victim. Had the "Duck Dynasty" star singled out homosexuals, EW might be able to make its case for the absurd charge that he made "anti-gay comments." But as you can read with your own eyes, Robertson did not single out gays, he appropriately listed heterosexual sexual sin, such as adultery and sleeping around. If only Robertson had talked about the deep moral imperative of murdering 21-week-old unborn children for 11 hours. Then he'd be a hero. Evil preaches tolerance until it is dominant and then it seeks to silence good. 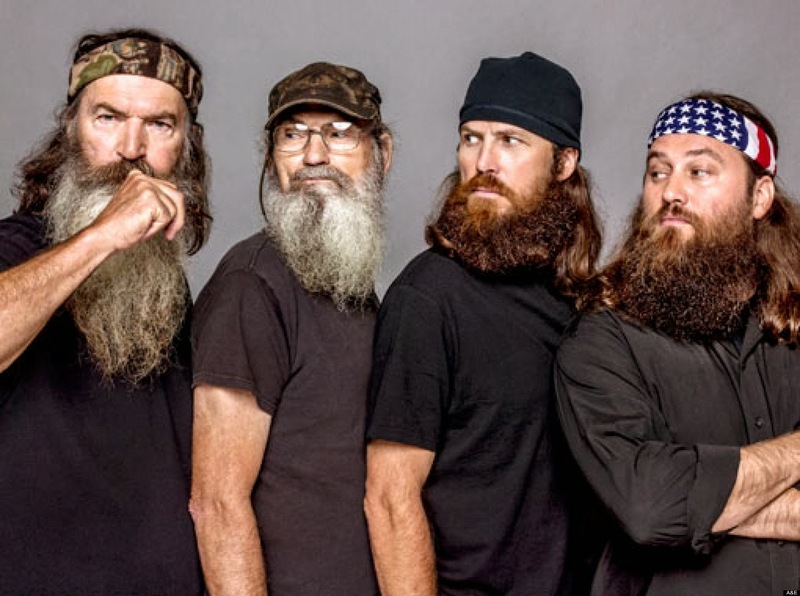 Phil Robertson, patriarch of the Duck Dynasty clan, honestly answered questions during an GQ interview. He spoke openly of his Christian faith. Because he offended a secular left at war with orthodox Christianity, he must be punished. 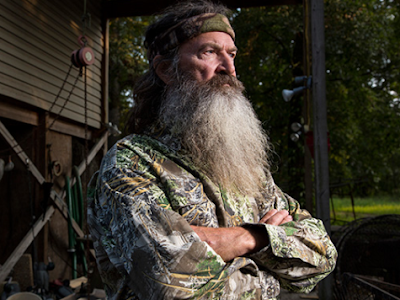 As of Thursday evening, more than 1 million people have “liked” the ◼ “Boycott A&E Until Phil Robertson Is Put Back On Duck Dynasty” Facebook page. “This page is to show support for the freedom of speech of Americans. Unless Phil is reinstated to the show, we refuse to watch the A&E Channel!” the page states. The page exploded when it was launched Wednesday, breaking over 200,000 likes in less than six hours and 700,000 after 20 hours. The page received more than 1 million likes in less than 24 hours. The administrator, who is named Michael, claims he was even banned from Facebook for 12 hours because the page was generating 4,500 likes in one hour. Duck season may soon be over for A&E. The Robertson family released a statement to me just moments ago that raises doubts about the future of the one of the most popular shows on cable television. The family said the have “spent much time in prayer” since they learned that A&E had suspended Phil Robertson, the patriarch of the Louisiana family, over comments he made about his religious faith. The reality stars have issued a statement amid the controversy surrounding the family patriarch's anti-gay remarks, saying it is in discussions with A&E about the future of the series. "I speak with authority here because I was openly gay before the Stonewall Rebellion, when it cost you something to be so," (Camille) Paglia said. "I personally feel, as a Libertarian, that people have the right to free thought and free speech." Paglia said the punishment of Robertson is a "level of punitive PC, utterly fascist, utterly Stalinist, OK, that my liberal colleagues in the Democratic party and on college campuses have supported and promoted over the last several decades. It's the whole legacy of the free speech [movement] of the 1960s that has been lost by my own party." ...Four-Oh-Four errors, fewer physicians, two times the cost and a nightmare for my family. The core problem facing the Obama presidency, then, can’t be fixed simply by personnel changes; it can only be repaired by accepting that the Affordable Care Act is intrinsically defective and therefore needs to be ended. And Mr. Obama will fight to his last breath to keep that from occurring. It is unclear from the documents if the lodging and transportation contracts covered just the president and his support staff, or if it included George W. Bush, Bill and Hillary Clinton, and other current and former government officials. The transportation contract included passenger vehicles, SUVs, vans, buses, pickup trucks, box trucks, and "larger capacity vehicles"
Charles Krauthammer: You are someone who takes the debt seriously. So my question is why don’t you fess up and become a Republican? Sen. Joe Manchin: There are still responsible Democrats around the country. Krauthammer: Well, you’re one of them. Can you name three? But Americans are now about to find themselves grappling with their own bureaucratic Berlin Wall. The American Thinker's Stella Paul has exposed the virtually unnoticed fact that within the ObamaCare exchanges so many Americans are being forced into, "most plans only provide local medical coverage." ...A prominent New York insurance broker pointed out that most of the policies offered on the ObamaCare exchanges are not national networks, so "if you need routine medical services, they will not be covered when you leave your local area," as they were before. Travel health insurance, unfortunately, only covers emergencies. So, the broker told Paul, "a large portion of the population will have their insurance as a consideration for their mobility, which they never had before." ...Meet the latest unpleasant ObamaCare surprise, right on the heels of HHS Secretary Kathleen Sebelius this week finally admitting that, contrary to Obama's endlessly repeated promise, "there are some individuals who may be looking at increases" in premiums. Unrestricted movement is a birthright of our liberty. Even socialized medicine's harshest opponents didn't suspect Washington would trample that freedom. Now, as the technologists charged with making healthcare.gov work report progress, lawyers are re-entering the fray. A little-heard of challenge currently making its way through the court system may represent opponents’ last best hope of, as they are fond of saying, driving a stake through the heart of the law. 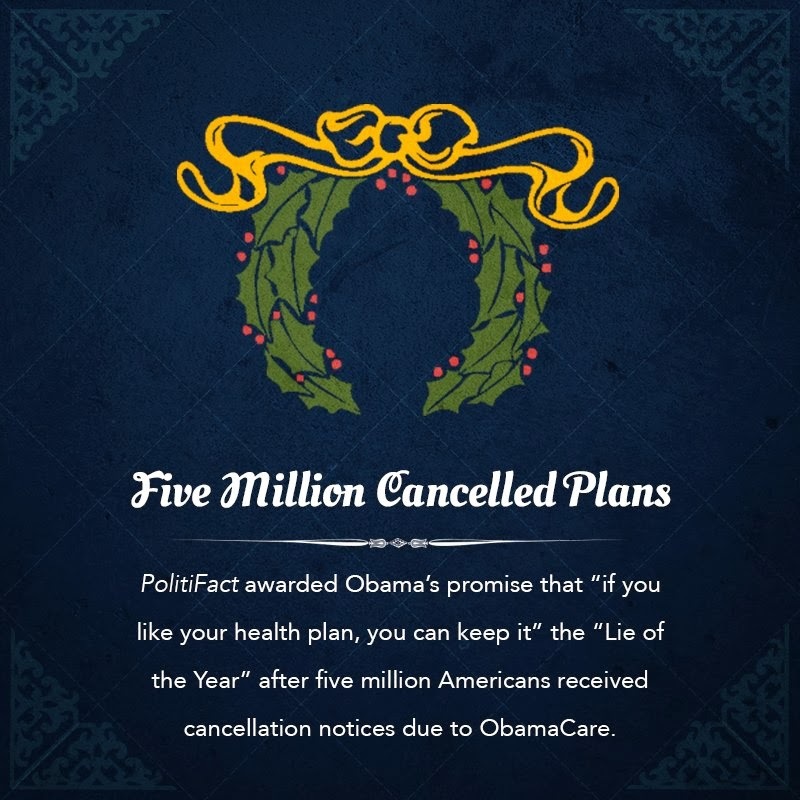 It all started in 2011, when Jonathan H. Adler, a conservative law professor at Case Western Reserve University in Ohio, shot an email to his friend Michael Cannon, a health policy expert at the libertarian Cato Institute in Washington, D.C. Adler thought he had spotted an error in Obamacare that could unravel a significant portion of the law. At issue are the federal subsidies for individuals buying insurance in their state’s health care exchanges. The law stipulates that those subsidies should be allotted for plans purchased “through an Exchange established by the State under Section 1311” (italics added), a reference to the section of the law that establishes state-run exchanges. Adler wondered: Did the law provide subsidies for only state-run exchanges and not federal ones? The law requires that the federal government step in to create an exchange when a state declines to do so. But does it fail to give subsidies to the residents of those states? 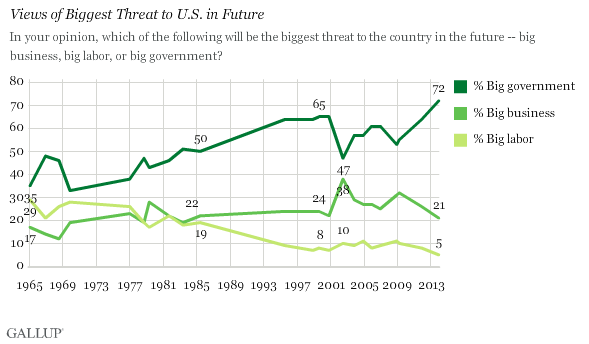 Currently, 21% name big business as the greatest threat, while 5%, a record low, say big labor. The high point for big labor was 29% in 1965. No more than 11% of Americans have chosen big labor since 1995, clearly reflecting the decline of the labor movement in the United States in recent decades. The Department of Justice has argued that the Presidential Policy Directive on Global Development was covered by executive privilege, even though the information is “non-classified” and sends directives to agencies not to the president of the United States. Acting on a Freedom of Information Act lawsuit brought by the Center for Effective Government, U.S. District Court Judge Ellen Huvelle concluded that the presidential order is not properly within the bounds of the so-called ‘presidential communications privilege’ The judge went further, calling "troubling" the sweeping nature of the government's argument's in the case. The judge also suggested the administration had lost sight of the purposes of the Freedom of Information Act and transparency itself. 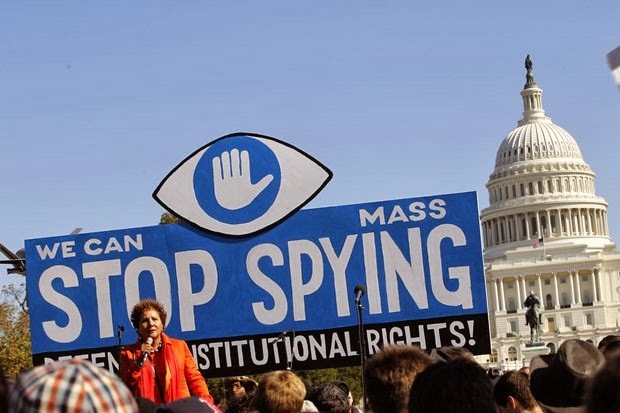 "The government appears to adopt the cavalier attitude that the President should be permitted to convey orders throughout the Executive Branch without public oversight ... to engage in what is in effect governance by 'secret law,'" Huvelle said. ◼ Read Huvelle’s entire opinion here. 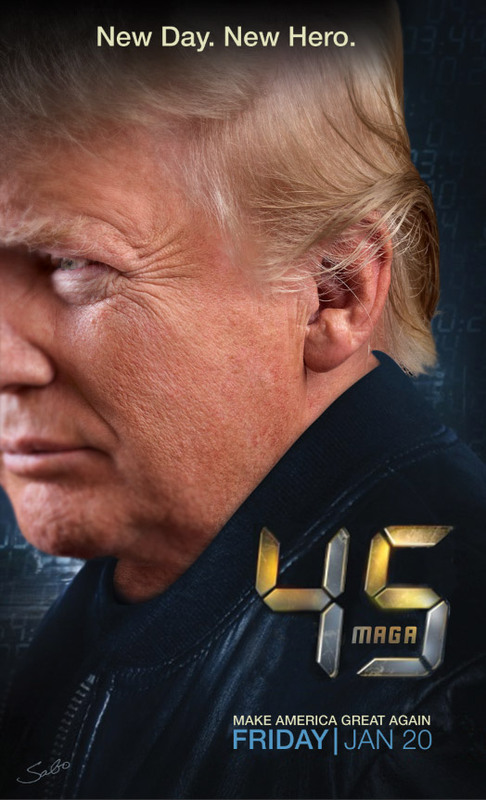 MR. PRESIDENT, WHAT ARE YOU WAITING FOR? House Republicans have passed dozens of pro-growth bills to get the government out of the way and secure the American Dream; however, Senate Democrats and President Obama continue to refuse to consider and pass these bills. 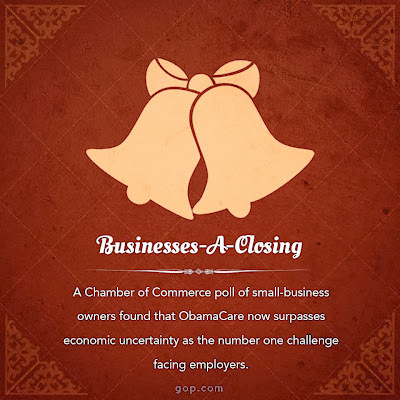 Watch the video ◼ (http://bit.ly/1kfxPaz) to see how House Republicans are working for YOU! Trying to get people to “talk about” Obamacare reminds me of the attempt to get people to hold a Windows 7 party. In other words: it seems lame. The Twitter account of Barack Obama published an image Tuesday night that seems designed to encourage young Americans to "talk about getting health insurance" and Obamacare during the holiday season. The image featured a photograph of a young man wearing what appear to be full-length pajamas and holding a mug. 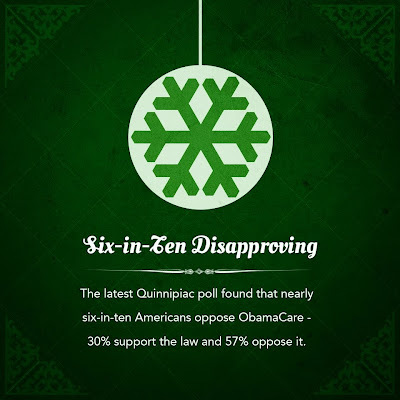 On the 7th day of ObamaCare, Democrats gave to me businesses-a-closing, six-in-ten disapprovin', five million cancelled plans, Four-Oh-Four errors, fewer physicians, two times the cost and a nightmare for my family. "This is like the Stasi." The German chancellor also told the US president that America's National Security Agency cannot be trusted because of the volume of material it had allowed to leak to the whistleblower Edward Snowden, according to the New York Times. Critics of the quirky, vague and expensive ads will likely rejoice. The ad campaign was originally slated for about $10 million, but then officials doubled it to $21 million in October. It’s no secret the health exchange in Oregon has been a train wreck since it launched Oct. 1. But...As for the rest of it, well, it’s still a scramble to get things fixed at Cover Oregon, the website that was supposed to enroll Oregonians in health care coverage. It’s still not working, forcing the state to hire more than 400 additional workers to process paper applications. 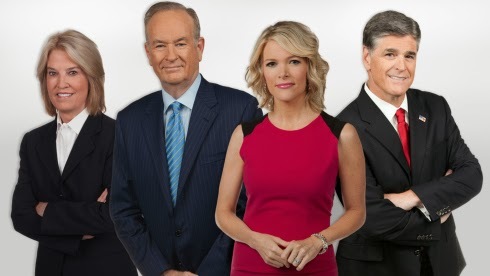 Variety reports Fox News Channel maintained its grip on the cable-news network ratings prize in 2013, drawing more viewers than the combined averages of CNN, MSNBC and HLN. It all looks so lax, so loosey-goosey. In the place of the energy and focus that would go into the running of things, the administering and managing of them, we have the preoccupation with spin, with how things look as opposed to how they are. Quite a thing to say on the very day ◼ a new poll found this president having the lowest approval rating of any since Nixon. It's also worth noting that this came the day after the ◼ Washington Post said Obama was responsible for three of the top ten biggest Pinocchios of the year, and five days after PolitiFact ◼ awarded him the Lie of the Year. "We need no more Washington solutions...We need to go back to the American people." "We need to make DC listen." 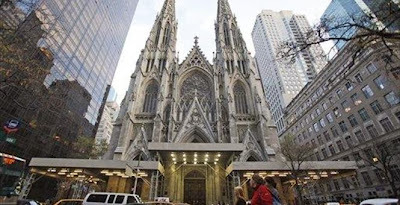 Previous courts had ruled against President Obama's contraception mandate as applied to for-profit entities (see Sebelius v Hobby Lobby), but this was the first court to hold that participating in Obama's scheme to provide free birth control is a substantial burden on the free practice of religion (specifically the Catholic Archdiocese of New York and its affiliate organizations). Here, the Government implicitly acknowledges that applying the Mandate to plaintiffs may in fact do nothing at all to expand contraceptive coverage, because plaintiffs’ TPAs aren’t actually required to do anything after receiving the self-certification. In other words, the Mandate forces plaintiffs to fill out a form which, though it violates their religious beliefs, may ultimately serve no purpose whatsoever. A law that is totally ineffective cannot serve a compelling interest. Considering how often Obama has justified his expansion of executive power on Congress' failure to do his bidding, yesterday's ruling was not only a huge victory for religious liberty, but a huge win for limited government in all spheres as well. If it weren’t for the “Islamophobes,” we are told, Americans wouldn’t have the low opinion of Islam that surveys show they do; innocent Muslims would not be victimized; and discrimination against Muslims would be essentially non-existent. In reality, the world faces not an “Islamophobia” problem, but a problem with genuine Muslim persecution of those who speak out against jihad terror and Islamic supremacism. New York State PTA Education Coordinator Bob Aloise supported calling Child Protective Services and charging parents with "educational neglect" for opting-out their kids from the curricula or testing. A bill in the House of Representatives would require the federal government to tell Americans if their personal information has been stolen while using Healthcare.gov. 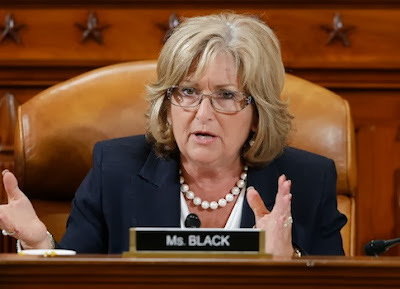 Rep. Diane Black (R., Tenn.) introduced the “Federal Exchange Data Breach Notification Act of 2013” on Thursday to address privacy concerns regarding the Obamacare insurance website, which has been live for months despite its lack of fundamental security safeguards. “His principal campaign theme was 'Mitt Romney is a rich, white guy,' " said Barbour, explaining why Obama has so quickly lost his reservoir of good will. Following on the heels of other political groups, President Obama's liberal base is abandoning him, giving him an even lower level of support from his base than George W. Bush had from conservatives five years into his presidency, according to a new Pew Research Center poll. Just 54 percent of liberal Democrats strongly approve of Obama in their new poll. For Bush at this stage of his presidency, 65 percent of conservatives strongly supported the Republican. Worse for Obama: Younger liberals have lost their thrill for Obama more than older liberals. Of those aged 18-49, just 46 percent strongly approve of the president, 39 percent “not so strongly,” said Pew. ...Again, we have the president as sufferer, and even though here (finally!) the wounds are “self-inflicted.” But it is the administration rather than the president himself that is doing the damage. Note, also, that this observation is followed in the same sentence by a balancing reference to the government shutdown, which didn’t hurt Obama at all and was widely blamed on the Republicans. All in all, a masterpiece of subtly crafted writing designed to effect a certain perception: that of a beleaguered president who is the suffering victim. Obamacare will continue to fail miserably, and the insurance company will buckle under that failure, and if progressive socialists take control of Congress, and then the White House, the push for single payer socialized medicine will be complete, and the lives of every American will suffer for it. 2014 and 2016 are not mere elections – they are wars for the soul of the nation. On the 6th day of ObamaCare, Democrats gave to me six-in-ten disapprovin', five million cancelled plans, Four-Oh-Four errors, fewer physicians, two times the cost and a nightmare for my family. What if you were told there is a corrupt dictatorship on the other side of the world where government officials are using US foreign aid to build palatial mansions for themselves, diverting money intended to feed poor children and spending billions with no oversight or accountability? The Howard Jarvis Taxpayers Foundation has just released “Follow the Money 2013,” a report chronicling some of the highest profile government waste, fraud and abuse uncovered this year. Added together, the examples in this document amount to tens of billions of dollars. There seems to be no limit on the irresponsible behavior of some politicians and bureaucrats when it comes to spending OPM (Other People’s Money). “Follow the Money 2013” shows they are paying millions to drug rehab clinics with histories of questionable billing practices, giving elected officials bonuses just for being reelected, spending hundreds of millions of dollars on outside consultants, and much, much more. If it is unconstitutional for the NSA to steal our private info....shouldn't it be ILLEGAL for the Obama camp and Organizing For America to take your PRIVATE facebook and Google info and build mega campaign databases out of it???????? The Death of Obama's "Noble Lie"
For years, liberal commentators have accused conservatives of living in an intellectual "bubble" of their own creation, impervious to reality. But through official intent and intellectual laziness, Democrats have created a bubble of deception surrounding ObamaCare that will affect millions of Americans for years to come. A lie this ignoble should stain the credibility of everyone who perpetuated it. U.S. District Court Judge Richard Leon granted a preliminary injunction sought by plaintiffs Larry Klayman and Charles Strange, concluding they were likely to prevail in their constitutional challenge. Leon, an appointee of former President George W. Bush, ruled Monday that the two men are likely to be able to show that their privacy interests outweigh the government's interest in collecting the data. Leon says that means that massive collection program is an unreasonable search under the Constitution's Fourth Amendment. 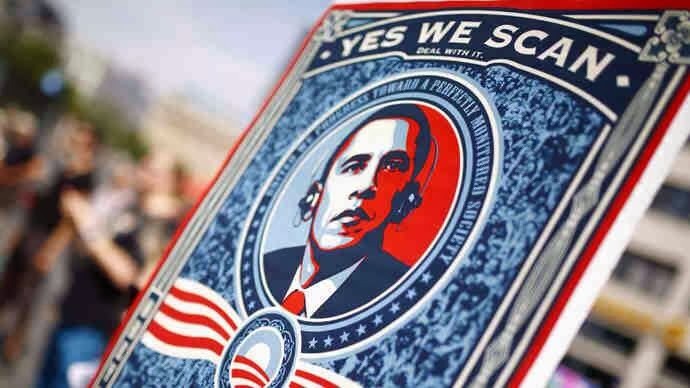 The collection program was disclosed by former NSA systems analyst Edward Snowden, provoking a heated debate over civil liberties. The Obama administration has defended the program as a crucial tool against terrorism. But in his a 68-page, heavily footnoted opinion, Leon concluded that the government didn't cite a single instance in which the program "actually stopped an imminent terrorist attack." As columnist Charles Krauthammer remarked, rather than investigating and punishing members of the IRS who discriminated against conservative 501(c)(4)s, the IRS now simply wants to change the rules to cover its hide. Even more disconcerting, House Ways and Means Committee Chairman David Camp was right on the money when he said these rule changes "smack of the administration trying to shutdown potential critics." Did you notice the three-week ‪#‎ObamaCare‬ tour already stopped happening? We did! Today, Americans for Prosperity concluded its “Three Weeks of Obamacare’s Problems” campaign by drawing attention to the fact that the White House hasn’t been able to finish its own three-week pro-Obamacare tour. After starting their campaign on December 4, the administration’s efforts on behalf of the President’s signature law have slowed to a trickle well before the campaign’s expected conclusion on December 23. During that time, Americans for Prosperity has also responded to the “benefits” touted by the White House by pointing out how they actually harm the American people. “In letters, interviews with administration officials, hearings and reports, Congress has repeatedly asked the administration: Why has the federal government failed to issue proper consumer protection guidelines for Obamacare’s navigators?" ...First, the law does not bar — or even require screening for — convicted felons, including individuals convicted of identity theft or fraud. This is particularly dangerous because navigators may have access to applicants’ personally identifiable information, including Social Security number, date of birth, address, phone number and annual income. This poorly conceived program endangers families and individuals across the country by heightening the risk of identity theft or financial loss. However, despite sections on preventing fraud and protecting people’s personal information, Breitbart News obtained an early copy of a House Oversight and Government Reform Committee report on Obamacare Navigators that documents Navigators encouraging fraud. The report titled, Risks of Fraud and Misinformation with ObamaCare Outreach Campaign: How Navigator and Assister Program Mismanagement Endangers Consumers, details how ill-trained the people in charge of signing Americans up for Obamacare actually are. Breitbart News has obtained a House Oversight and Government Reform Committee report on the Obamacare Navigators that will be released Monday. It has found that Obamacare Navigators have been giving Americans misinformation and, in some cases, actively encouraging enrollees to commit fraud in order to raise their subsidies. To complicate matters further, there is no way for Americans to find out whether their Navigators are properly certified. 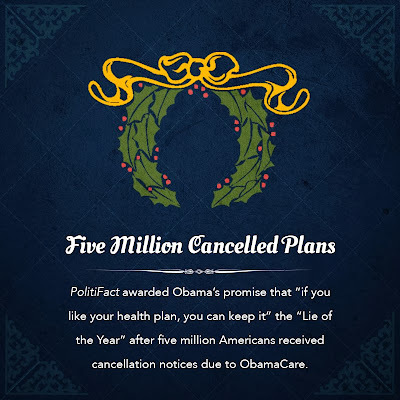 On the 5th day of ObamaCare, Democrats gave to me…five million cancelled plans, Four-Oh-Four errors, fewer physicians, two times the cost and a nightmare for my family. It’s unconstitutional to force insurers to cover people for free. The administration could pay insurers to cover up for its mistakes. But that would lead to criticism—as it has in other instances—that the White House is lawlessly throwing taxpayer money at insurers to, well, cover up for its mistakes. So, instead, they’re asking insurers to pay for the mistakes. But, of course, the cost of paying for those mistakes won’t end up being paid by insurers, but by consumers, in the form of higher premiums. In theory, the Obama administration’s actions aren’t merely illegal—they’re unconstitutional. There may be more than mere populist politicking behind the president’s latest big idea. The unions, which don’t have to make a business work, are the No. 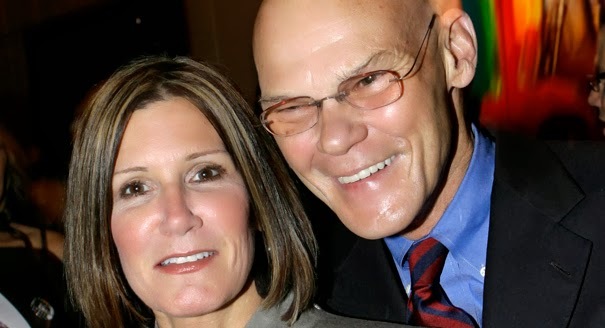 1 advocates of raising the minimum wage. There’s a simple reason for this. Buried in many union contracts are provisions that peg negotiated wages to the minimum wage. The collective-bargaining agreement with one particular union states that “whenever the federal legal minimum wage is increased, minimum wages … under this Agreement shall be increased so that each will be at least fifteen percent higher than such legal minimum wage.” The poorest may lose a chance to put money in their pockets, but union bosses won’t. That might sound like a good deal to the president, but those struggling to survive his mangled economy know better. Republicans must man up when the administration increases the pressure for raising the minimum wage early in the new year. It’s a small hope, but it’s all we’ve got. 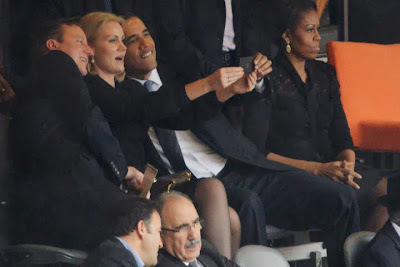 ...President Obama’s flirting with Denmark’s prime minister would be shameful on any occasion. That it happened at the memorial for Nelson Mandela only adds to the embarrassment. ...As fine print is wont to do, it had buried itself in a long form — (Gary) Balhorn’s application for free health insurance through the expanded state Medicaid program. As the paperwork lay on the dining-room table in Port Townsend, (Sophia) Prins began reading. Medicaid, in keeping with federal policy, has long tapped into estates. But because most low-income adults without disabilities could not qualify for typical medical coverage through Medicaid, recovery primarily involved expenses for nursing homes and other long-term care. 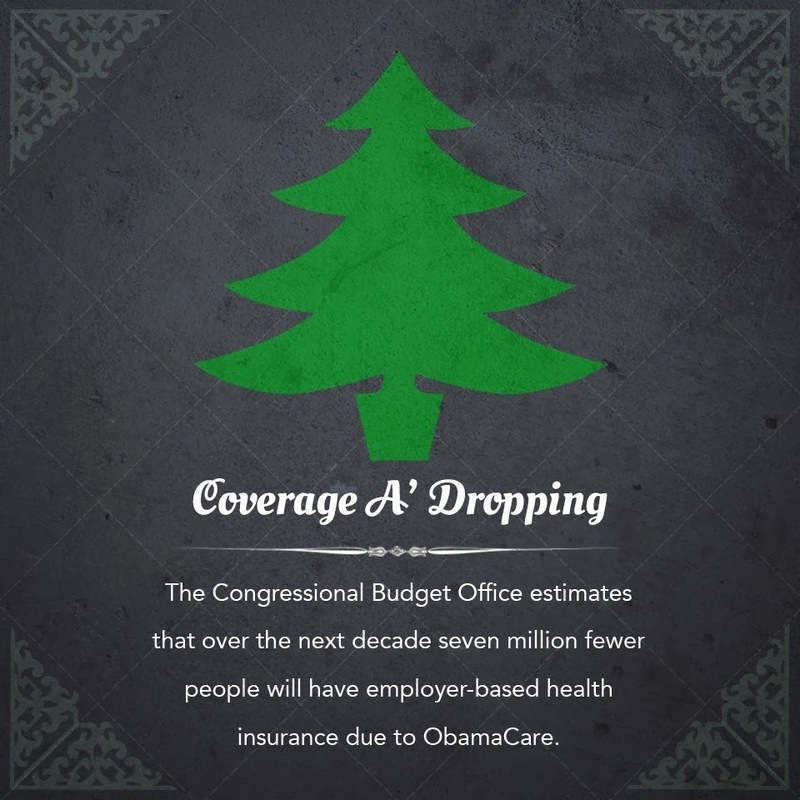 The federal Affordable Care Act (ACA) changed that. Now many more low-income residents will qualify for Medicaid, called Apple Health in Washington state. But if they qualify for Medicaid, they’re not eligible for tax credits to subsidize a private health plan under the ACA, which requires all adults to have health insurance by March 31. No matter the final vote on this bill, the fact remains that Boehner broke a vow he made to the American people to cap discretionary spending, he gave his own caucus the bum’s rush because he couldn’t afford to let them read the bill, the Senate Majority Leader has rejected this bill and the only way it will pass is on the votes of a handful of turncoat GOP senators and a solid Democrat bloc. Internal Democrat strife over the ObamaCare disaster dwarfs anything currently going on between Republicans over their budget deal, but you’d think it was the other way around from the media coverage. That’s partly media bias, sure, but it’s also a result of the way both sides play these things out. It doesn’t help Boehner’s cause that he’s so fundamentally wrong in his critique. The people he’s taking issue with did read the budget deal. In some cases, as radio host Mark Levin has been pointing out for the last few days, details were passed out by the Republican leadership’s own staffers. It would be one thing if Boehner stood up for the budget deal on its merits, or even stuck with his dismaying but perhaps defensible point that it’s the best deal Rep. Ryan could manage, given the political circumstances. He might even have found a graceful, roundabout way of acknowledging that his top priority is avoiding another government shutdown drama, conceding that the Party of Big Government has the whip hand in budget negotiations until the Senate and White House change hands. But instead, Boehner goes on a rant against the Tea Party rascals who pushed “his” members into the ObamaCare defunding fight. (When did they become “your” representatives, Mr. Speaker? That’s exactly the sort of language you should never, ever use at times like this.) He should be directing his ire at the Democrats, the opposition, the people who make it necessary for math wizard Paul Ryan to accept a deal he knows is inadequate to the fiscal challenges at hand. Democrats... pushed through the nomination of Mel Watt to head the Federal Housing Finance Agency (FHFA). Now, one of the biggest supporters of affordable housing mandates will guard the hen house at Fannie Mae and Freddie Mac. Additionally, Democrats pushed through the nomination of two more liberal judges to serve on the D.C. Circuit Court of Appeals, the second most important court in the country. 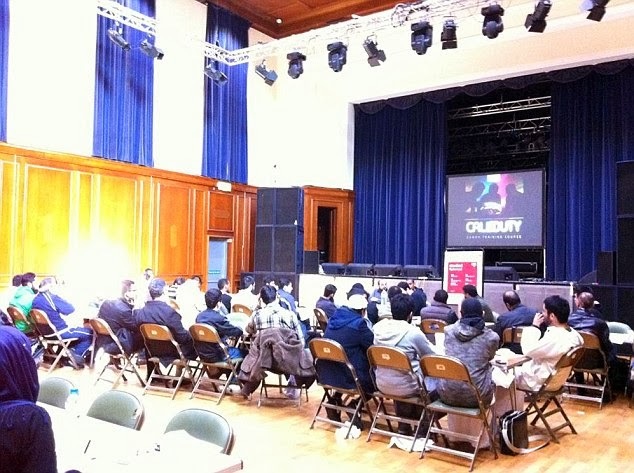 “Would you put up a billboard ‘take Mohammed out of Ramadan’ and cross out Mohammed’s name?" The board voted unanimously Tuesday to begin developing its own Germantown Model of Standards for Academic Achievement in January. Germantown is now the first district in the state to formally move away from Common Core, but school board members in other districts could follow. No other school board to this point has gone as far as Germantown, but some of that may be due to the assessments and teacher evaluations tied to Common Core — agreements Wisconsin made with the federal government to get a No Child Left Behind waiver. But Holmes sees Germantown’s move as leading the way for other districts who aren’t satisfied with more of the same in education.